When the biographies of Cuban painters, sculptors and engravers with a greater presence in the international circuits of exhibition and commercialization of the visual arts for the past five decades are reviewed, it is common to find a mutual reference in its formative stages: they have studied at the National Art School (ENA) or the Higher Institute of Art (ISA). Flora Fong, Ernesto Garcia Peña and Gilberto Frómeta, who displayed their works in solo-exhibitions at ArteMorfosis during 2015 and currently are presented side by side in a group exhibition, all passed through these academic institutions which originally were established as a center for the professional initiation of teenagers from the entire country in 1962 and which continued to evolve into the highest echelon of the national system for art education in 1976. Before the ENA (National School of Art) was founded, the greatest aspiration of those who aspired to learn the secrets of art was to register in the San Alejandro Academy of Arts, founded in Havana in the nineteenth century. Even though some of its faculty wrote Cuban art history, their predominant trend was a conservative one. Only in the last decades of the past century, in alignment with the socio-cultural transformations adopted by the new government for its educational system, San Alejandro left behind its academicist burden. In this enclave was located the Havana Country Club, recreational aristocratic society of the national high bourgeoisie and the wealthy foreign investors. The Pearl of the Club was its golf Field. After the departure of most of the owners of the urbanization and the Club members as a result of the newly introduced laws rooted in the radical social changes of 1959, the idea of transforming the social function of that institution was put forward. One day in 1961 Fidel Castro went to the abandoned Club. 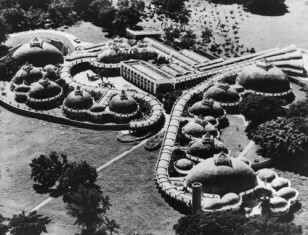 The Cuban revolutionary leader came up with the idea of building a complex of schools for artistic education there. He wanted that these buildings proclaim to the world what a revolutionary government could do regarding the democratization of access to artistic training and renewal of architectural styles. is a photographic sequence captured by Alberto Korda, known for being the author of the most famous image of Che Guevara, which shows him with penetrating eyes and wearing a black beret in which a single star shines. 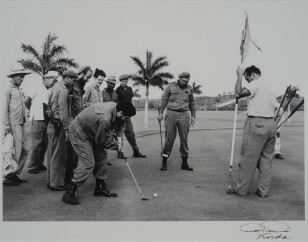 As a photojournalist, Korda covered Castro movements around the island and on one occasion, also in 1961, he attended a round of golf between Castro and Guevara, where he took the sequence. The golf field was not, as has been said and repeated, the Country Club’s, but one based in the other end of Havana, in a place known as Villarreal heights. The architect in charge of coordinating the Cubanacan project, Selma Diaz, called a, Cuban colleague, Ricardo Porro who lived in Caracas since the previous decade, exiled for his activities against the coup regime of Fulgencio Batista (March 10, 1952 – 1 of January 1959). Porro, in turn, summoned two Italian architects, Roberto Gottardi and Vittorio Garatti, identified like him with the so-called Modern Movement. Actually, more than one school, the project included five, one for each artistic specialty. Porro designed the Plastic Arts and Modern Dance Schools; Garatti designed those of Ballet and Music, and Gottardi, that of Theater. The students, as grant holders, would inhabit the residences of the former residents of the exclusive area. Between 1962 and 1965 the construction of the schools advanced and in fact, without being finished, they began to work: first Music, Theater and Plastic Arts, later Modern Dance; Ballet had to wait, although under the aegis of the world famous, great dancer Alicia Alonso and the teacher Fernando Alonso, other spaces of the capital, formed the necessary talents to be part of the noted company National Ballet of Cuba. In 1965 the investments for building ENA were stopped. The unsatisfied necessities of housings in the cities and the emergent plans of industrial and agricultural development inclined the scale in favor of less elaborate architecture based on the technologies of prefabricated elements at the expense of the personalized designs of Cubanacán. Despite its incompleteness – towards the end of the last century, construction of the schools has been re-initiated – the Cubanacán development is considered as one of the jewels of Cuban modern architecture. 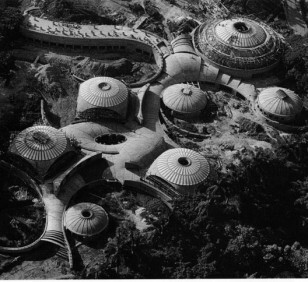 Porro hypothesized, in the case of the School of Visual Arts, that the innovative architectural design had to be interrelated with an advanced pedagogical proposal. Many years later Porro insisted, during a conversation with Cuban colleagues on the concept: “I am convinced that the school environment favored the work of the professors and stimulated the imagination of students. It is not the same thing to teach or to learn how to paint or to sculpt in an atmosphere dominated by classic lines, sandwiched in the middle of a conventional architecture, than to be placed in an environment that is itself an inducement of creativity. The provocative atmosphere generates more provocation. 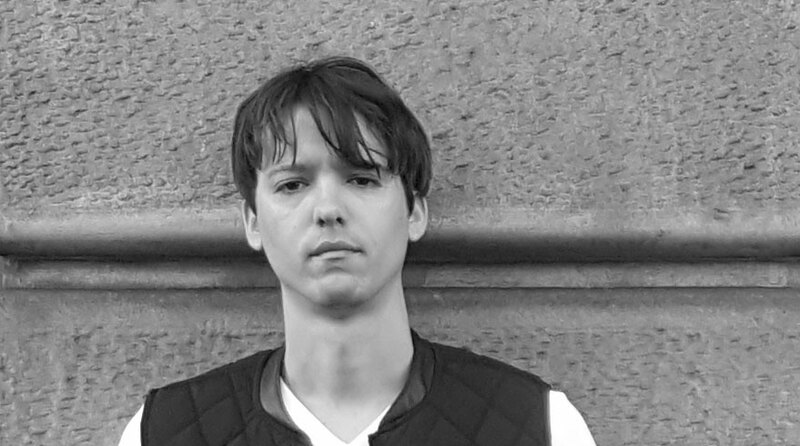 I do not mean by this that my proposal is transgressive, but I put myself in a student’s shoes, any student that does not agree with walking o well-known paths and wants to develop his/her inner world with complete freedom. That constructive freedom is what I tried to capture in this school“. Porro moved to Paris, Garatti to Italy, Gottardi remained on the island and founded an Italian-Cuban family. Someday, sooner or later, his work will be completed. But the dream of Cubanacan not only lives in its architectural poetics, but in human realities. Hundreds of talents have been trained in this multiple institution. If we judge merely by plastic arts, this pool of talents is impressive and growing every year. Flora, Ernesto and Frómeta belong to the first crop of Cubanacan School. They were not the only ones. In a next chronic we will discuss the diverse origin of the young artists that studied there and the pedagogic aims of their professors. Both have much to tell.